This is the first I have heard anything about challenges getting the ioDrive2 into production — frankly, there was no attribution for the comment so I am really wondering if it’s accurate. If they manage to get 12TB on a single board, running at a fraction of the power of a salvo of 15K SAS drives then they could charge whatever they want to, that is just mind-blowingly amazing! It would take 40 300GB 10K or 15K drives to reach 12TB of data. Assuming a throughput of 150MB/s/drive that would be 6GB/s of sequential read/write performance, which will beat this card (assuming it is a PCIe2 8x slot which caps out at 4GB/s throughput). For IOPS, this card (and even the R4 cards) would easily beat 40 SAS drives at 200IOPS each (for a total of 8,000IOPS vs the R4’s 410,000 IOPS, and I am sure the R5 is faster). 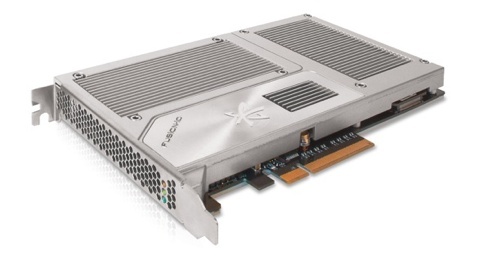 If this is a PCIe3 card with 8GB/s of bandwidth available then it will be even faster still! Plus when you figure that this single magical card could replace 40 physical HDDs… that’s a lot of power, and a ton of space saved! Now for price, 40 15K 300GB drives can be found on newegg for ~$450ea (I am assuming also this price is also inflated due to the floods just like the consumer drives are), totaling $18,000. The R4 3.2TB drive starts at $20,000, which means a 12TB drive would be ~$50-60,000, which is 3x the price of the SAS solution, and a rough equivilant in performance in sequential throughput. For IOPS however (again using the R4 specs as we do not know what the R5 is yet, except that it will be better) you get .4IOPS/$ with the SAS setup, and 6.8IOPS/$ with the R5 for the same amount of storage space, but a small fraction of power usage, and even smaller fraction of physical space used. I think that says it all for the pro markets, if this is anywhere near $60,000 for 12TB (or even north of $100,000) it would be more than worth the cost compared to the performance gained. Simply amazing! Just realized, I didnt even take into consideration the lessened noise and cooling factor for a setup like this! Data center cooling is insane, and 15K drives are not exactly quiet, especially when you have 40 of them lol. Imagine cooling a data center with a simple/normal AC instead of moving to the artic circle like FB did to help cut their cooling bill. Fusion-io has refreshed the whole of its ioDrive product range with smaller flash chip dies and new controller firmware to produce high performance, longer lasting flash using less silicon. CEO David Flynn said the current ioDrive technology was introduced four years ago and Fusion was now “introducing something that will toast it. This thing is a beast”. 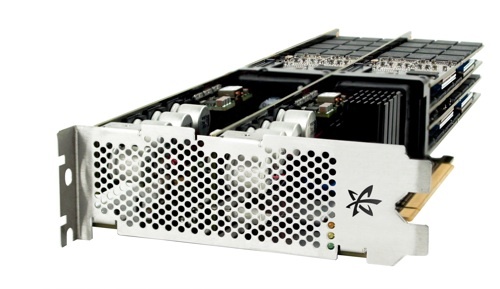 The ioDrives are PCIe-connected cards in half-length format and use NAND chips that are either single-level cell (SLC) or 2-bit multi-level cell (MLC) and require a 29nm to 20nm process (2Xnm). We think this is Samsung NAND using a 27nm process. There’s a half-height ioDrive and a full-height ioDrive Duo to choose from. The 2Xnm NAND is inherently slower than 3Xnm dies, but Fusion says its controller technology, including its firmware, more than compensates for this. Flynn says Fusion can use the cheapest commodity 2Xnm dies and give it performance and endurance such that second-generation ioDrives out-perform first-generation products. There’s no need, he says, to use enterprise-grade MLC (eMLC). There is a new card design with the flash mounted on up to three daughter cards attached to the base card. The ioDrive 2 comes in SLC form with capacities of 400GB and 600GB. It can deliver 450,000 write IOPS working with 512-byte data blocks and 350,000 read IOPS. These are whopping great increases, 3.3 times faster for the write IOPS number, over the original ioDrive SLC model which did 135,000 write IOPS and 140,000 read IOPS. It delivered sequential data at 750-770MB/sec whereas the next-gen product does it at 1.5GB/sec, around two times faster. There is an MLC version of the ioDrive 2 which comes in 365GB, 785GB and 1.2TB capacity points. The SLC version of the larger format ioDrive 2 Duo has a 1.2TB capacity point and the MLC version 2.4TB. The SLC version of the ioDrive 2 Duo can deliver 900,000 write IOPS and 700,000 read IOPS, at 3GB/sec. The first-generation product did 262,000 and 261,000 respectively, at 1.5GB/sec reading and 1.1GB/sec writing speeds. Flash product suppliers generally quote IOPS numbers using 4KB data blacks whereas Fusion typically uses 512B blocks. A 4KB block size aligns with flash’s 4KB page size but 512B blocks require a read, modify, write process. This is not necessary with Fusion-io’s products, according to Flynn. We have one set of 4KB block IOPS numbers from Fusion: the 1.2TB, SLC ioDrive 2 Duo does 503,000 read IOPS with 4KB blocks and 664,000 write IOPS. Flynn emphasises that the performance comes at low queue depth. Typically, he says, performance is quoted by suppliers with a high queue depth so that the parallelism in a product’s controllers can really get the data moving. But real world experience is lower queue depths, because flash responds so quickly. Here Fusion’s products speed along while competing ones, typically comprised of, he says, RAID controllers, SandForce controllers, and flash dies, start limping. He also asserts that Fusion’s products perform very well with mixed read/write workloads, whereas other products show a bathtub effect: high numbers for pure reads and writes but much lower ones for mixed workloads. Flynn said that MLC flash products makes up about 80 per cent of Fusion’s business. It actually started shipping 2Xnm-class dies some months ago on the ioDrive Octal product, a custom product generally sold direct to large customers; where 3Xnm devices could hold 5.12TB of data, 2Xnm-class kit now stores up to 10TB. It self-heals to the point where it covers for subsequent failures ad infinitum. 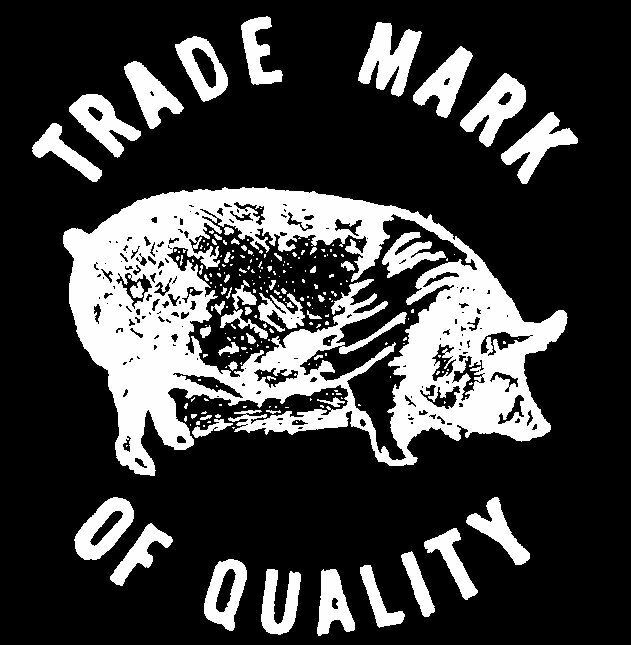 We don’t believe that customers should have to service anything. This idea that customers should not have to replace modules reminds us of XIO’s Hyper ISE, that sealed canister of drives with a 5-year warranty against customers ever needing an engineer to poke around inside it and replace failed components. Flynn said Fusion-io has added endurance extending technologies to the ioDrive 2 products. There are no published endurance numbers, though we expect, given Fusion’s OEM customers, that endurance is good. Flynn said that the endurance has increased with the ioDrive 2 products. There are several competitors who have been waiting for this Fusion refresh: Micron, OCZ, STEC, TMS and Virident are the main ones. They use a 4KB block size for their IOPS numbers. All we can compare are raw numbers, and hope the numbers are divergent enough to indicate meaningful relationships, even though it’s an apples and oranges comparison, apart from the 4KB numbers for the ioDrive 2 Duo SLC product. Micron’s rocket-like P320h, a 3Xnm SLC product, does 750,000 read IOPS and 341,00 write IOPS, with 3GB/sec read and 2GB/sec write bandwidths. The read IOPS are significantly higher that the 503,000 of Fusion’s ioDrive 2 Duo SLC but significantly slower than the Fusion product’s 4KB write IOPS. With 512B blocks, the Fusion product is almost twice as fast on write IOPS though, while being a mere 50,000 IOPS slower on reads and overall faster on bandwidth. The medal goes to Fusion overall then. OCZ’s VeloDrive PCIe numbers are simply incomprehensible: for example, read IOPS are expressed in MB/sec for hardware RAID, while software RAID speed is quoted for compressible and incompressible data. We give up. Give the dratted thing a test drive alongside the Fusion product to make a comparison in your own shop. 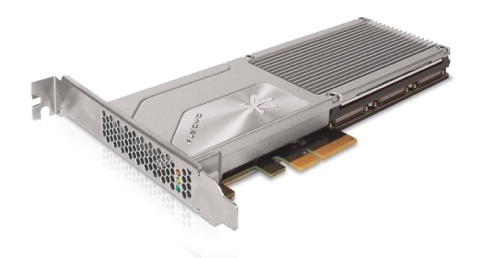 STEC’s Kronos BiTurbo PCIe SSA holds up to 3.9TB of MLC and, in SLC form, does 440,000 read IOPS, 400,000 write IOPS and boasts a 4GB/sec bandwidth. The Kronos Turbo on its own does 220,000 read IOPS, 200,000 write IOPS and shifts 2GB/sec. Fusion has that one whipped it seems, apart from the bandwidth number. TMS’ RamSan-70, based on 3Xnm Toshiba SLC NAND, does 330,000 read IOPS, 600,000 in burst mode, and 400,000 write IOPS to heave 2GB/sec. On the raw number basis Fusion has it beat as well. We note that a CSCS analysis had this TMS product way-outperform a first-generation ioDrive product from Fusion though. Virident’s SLC TachION delivers a claimed (see CSCS analysis above) 300,000 IOPS with a mixed read/write workload and a peak 1.4GB/sec bandwidth. Fusion appears to have it whipped too. The verdict is pretty clear. On headline raw numbers Fusion-io’s ioDrive 2 products generally leave the competition in the dust, except for Micron, but the P320h is let down by poor write IOPS numbers. Of course all these PCIe cards won’t compete in a uniform PCIe market; it being split up into various sectors each with their own workload and price/performance characteristics. Fusion is hoping that, with its wide spread of capacity points and performance levels, it can compete in as many of these sectors as possible, while focussing on mainstream pure enterprise business and not the flash web businesses. Its mainstream enterprise customers buy kit from Dell, HP and IBM and look for that level of reliability, performance, value and support. Our first reaction is that, with this launch, Fusion-io has, in El Reg’s opinion, cemented its position as the PCIe flash card leader.